JumpSuits are designed by cavers, for cavers. Our suits are not only custom made to fit you, they are made from the newest and highest performing fabrics we can obtain. We supply suits all over the world and use feedback, as well as exhaustive testing to ensure you get the best. Individually tailored undersuits using highest quality fleece in a choice of specifications and colours. Plus custom design undersuits, mix ‘n' match colours, extended zips, extra padding and more! 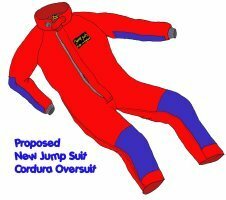 Cordura oversuits now in stock! 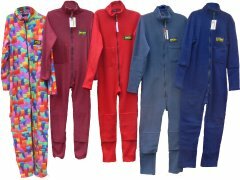 After thorough testing, these top quality oversuits are now available in a range of sizes and come with many handy features. 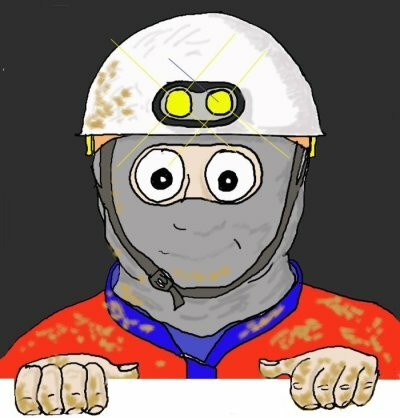 High quality caving gear and accessories designed and tested by cavers for cavers. 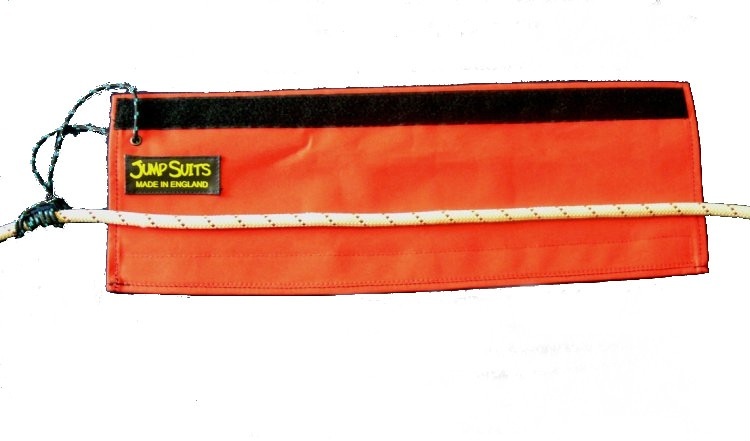 The range includes balaclavas, neckwarmers, helmet liners and rope protectors. 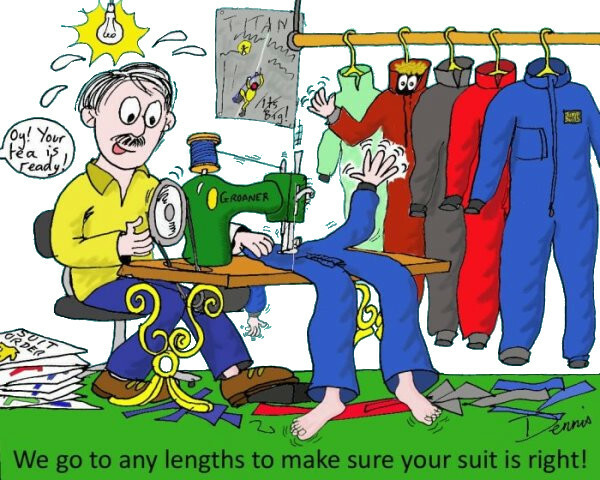 Repair and alteration service for any design of caving undersuit or oversuit, using top quality materials. We also repair just about anything else too! Product Review: "Being able to have the undersuit made to measure means that it works as well as it possibly can. Not only does it keep you nice and warm, but it hardly impedes movement and drains almost as soon as you’re out of water. On top of the material the suit is very well designed." Product Review: "I have used the Powerstretch lightweight undersuit for 5 months now and cannot fault it. The workmanship and design is excellent and it fits ideally." Website design and creation: S. White. Website text: S. White, A. Chapman & D. Jump. Website photos: S. White, A. Chapman & D. Jump unless credited otherwise. Website cartoons: D. Jump.